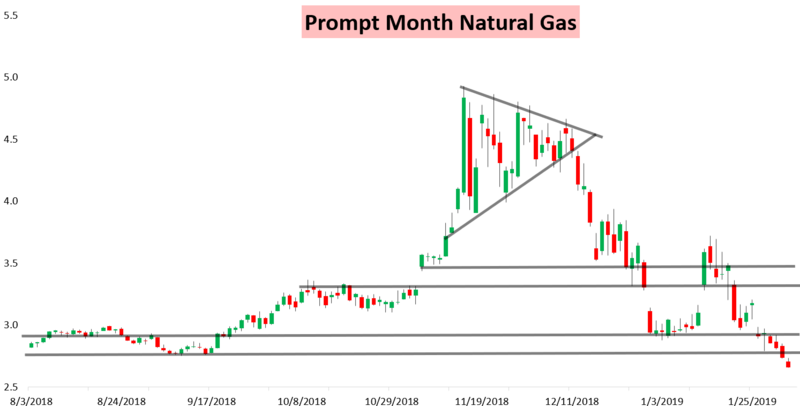 The March natural gas contract continued its march lower today, settling down almost 3% as weather forecasts warmed and cash prices were even weaker today. 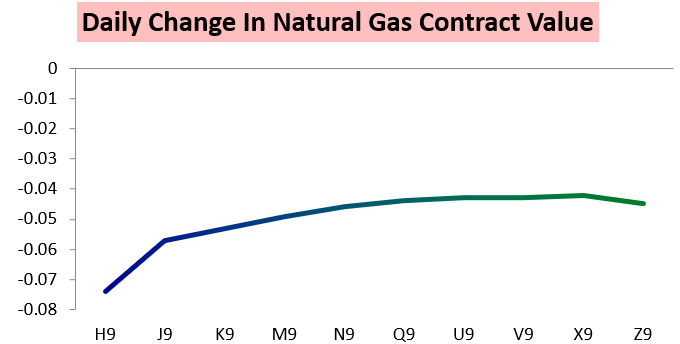 It was the fourth straight trading session where the March natural gas contract settled lower and the fifth in the last six sessions. Weak cash prices definitely played a role in this move lower. 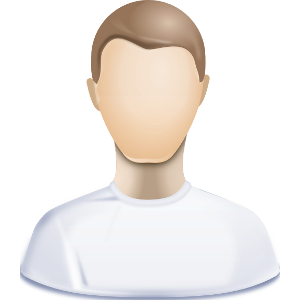 Lingering concerns following a very loose EIA print last week did too. As we noted in our Morning Update, forecasts warmed decently from Friday afternoon, with much of the warming actually coming overnight last night after only a very small gap down last evening. 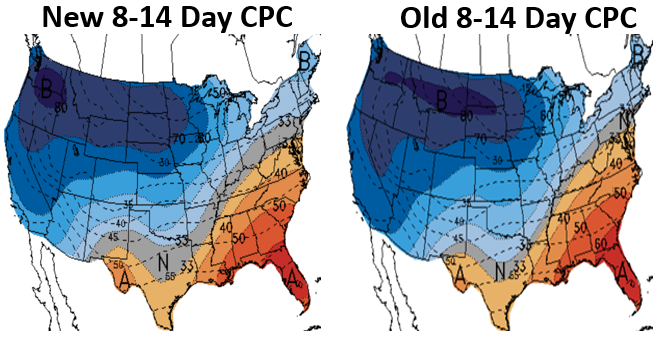 Climate Prediction Center forecasts this afternoon again showed cold risks struggling to roll forward, with key regions in the South and Southeast likely staying warmer through Week 2. This selling comes as traders shake off what should be a very large storage withdrawal to be announced by the EIA on Thursday. 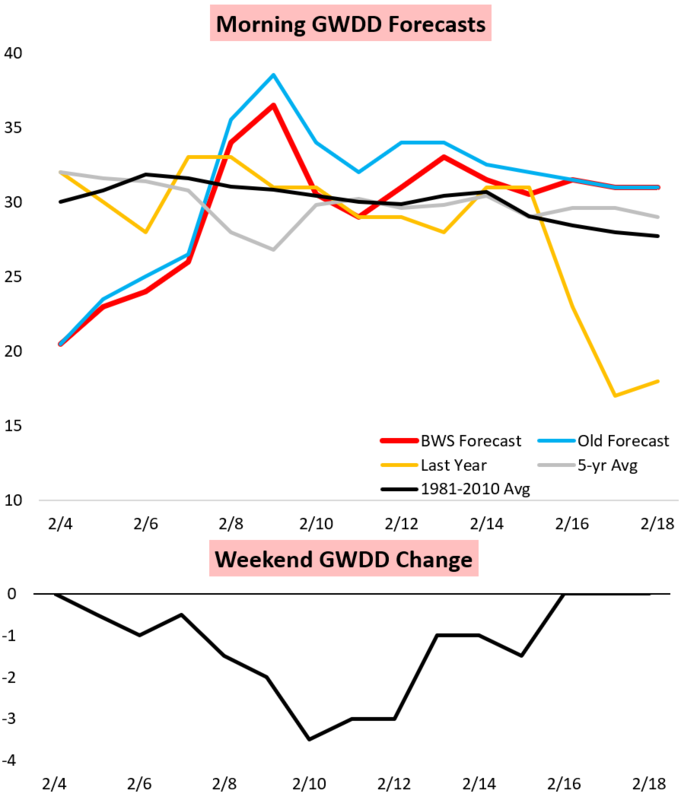 Severe cold swept through the Midwest pulling GWDDs significantly above average for the week. 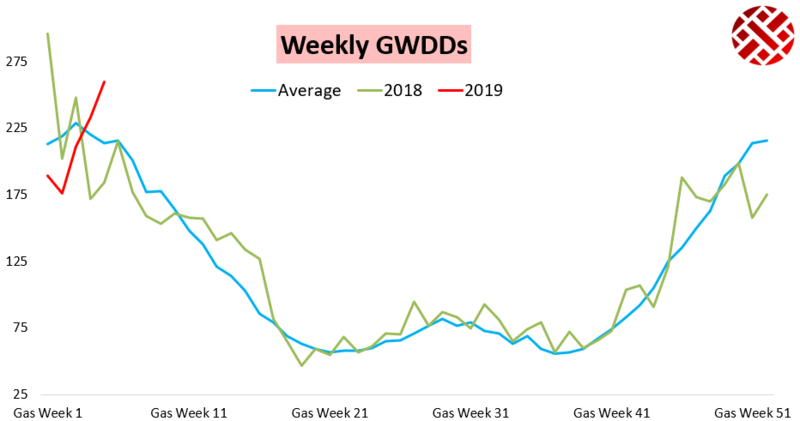 We broke down our expectations for the draw in our Natural Gas Weekly Update today, which outlines all fundamental aspects of the natural gas market. 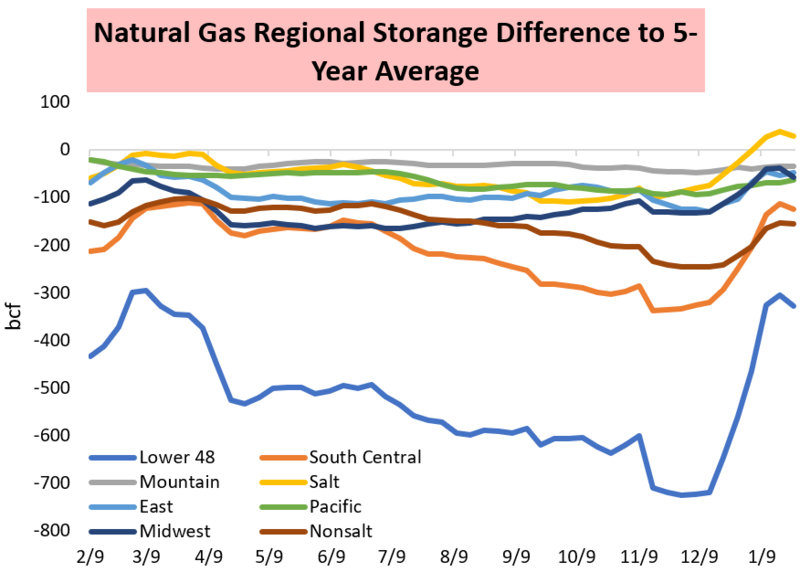 In it we also looked at the current state of each individual storage region relative to the 5-year average.